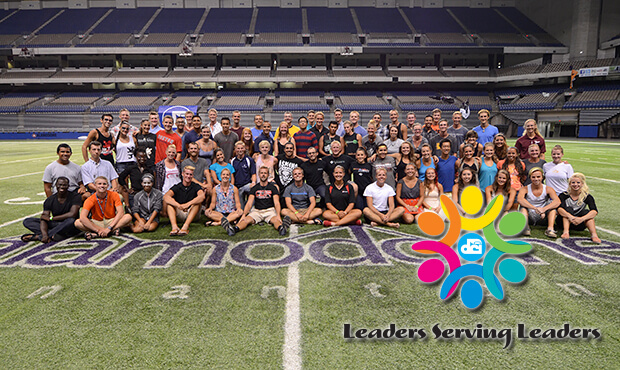 Corps members leaders gathered for a reception following the 2014 DCI Southwestern Championship in San Antonio. One hundred percent of the proceeds from donations to the Leadership Initiatives Annual Fund Campaign will directly support the ongoing development and operation of Drum Corps International's Leadership Initiatives, from funding scholarships to offsetting housing and travel costs at the annual DCI Drum Majors Summit, and more. You can donate online or contact Drum Corps International at donor@dci.org or 317.275.1212 for more information on how you can support the long-term success of DCI's student leaders. Donation Amounts $25 – Shako $50 – Baton $100 – Podium $250 – Bronze Medal Society $500 – Silver Medal Society $1,000 – Gold Medal Society $5,000 – Founders Trophy Society.